A new study from the Stanford University School of Medicine and Lucile Packard Children’s Hospital has found that many patients who do not meet full criteria for Anorexia Nervosa or Bulemia Nervosa are still extremely imparied, and the diagnosis they now receive, “Eating Disorder Not Otherwise Specified,” may delay their ability to get treatment. The study’s author, Rebecca Peebles, suggests that the criteria be reconsidered to avoid missing very sick patients who do not meet the current criteria. 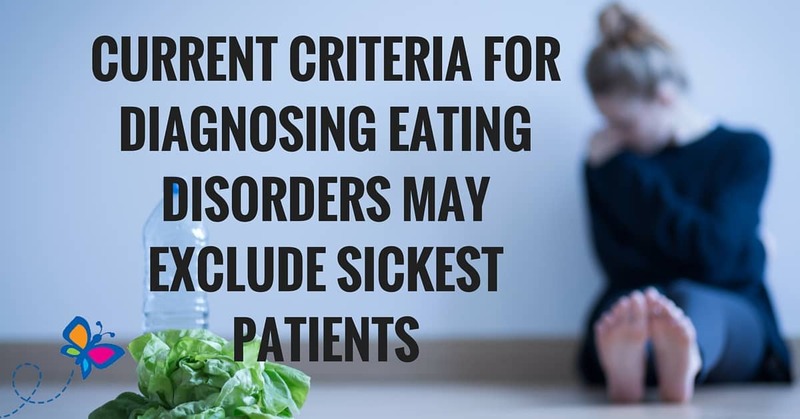 Also, giving patients the diagnosis “Eating Disorder Not Otherwise Specified,” (EDNOS) may allow them to underestimate their illness. Peebles’ team conducted the first-ever large study to ask whether adolescents with EDNOS are less ill than those who meet the full diagnostic criteria for anorexia or bulimia. The research, which was published online April 12 in Pediatrics, examined records from all 1,310 female patients treated for eating disorders at Packard Children’s between January 1997 and April 2008. They verified patients’ diagnoses of anorexia, bulimia or EDNOS, and created categories of “partial anorexia nervosa” and “partial bulimia nervosa” to analyze patients who barely missed cutoffs for these diseases. “Our purpose was to ask if the diagnostic criteria now in use are really separating out the sickest of the sick,” Peebles said. Patients’ conditions were assessed by noting signs of malnutrition — such as low heart rate, low blood pressure, low body temperature, low blood levels of potassium and phosphorus — and long QT interval (an electrocardiogram measurement linked to risk of sudden cardiac death). Dr Gail Fernandez is a board certified child psychiatrist and is Associate Professor of Psychiatry and Human Behavior at the UC Irvine School of Medicine. Dr Fernandez received her MD degree and General and Child/Adolescent Psychiatric training at Creighton University School of Medicine in Omaha, Nebraska. Her community work includes Medical Director for FOCUS a program specializing in treatment of sexually abused children and their families. She is a member of the American Academy of Child and Adolescent Psychiatry.